If you look back at April 2013 for the Pittsburgh Penguins, General Manager Ray Shero had what you might call a good month. He literally #Shero’d the NHL as the Penguins went out and traded for basically every available captain on the market. With huge names like Jarome Iginla and Brenden Morrow making headlines, Shero pulled off another trade that that went widely under the radar; Jussi Jokinen. Jokinen is a name that had floated around the NHL before, but for what his skill set was, he made perfect sense on the Penguins, and so did the price of the deal. Carolina agreed to pay 30 percent of his $3 million dollar salary with no exceptions. In return, they only requested a conditional sixth or seventh round draft pick. The catch? This only occurred if Jokinen appeared in 25 percent of the Penguins playoff games and if the Penguins reached the Stanley Cup Final. 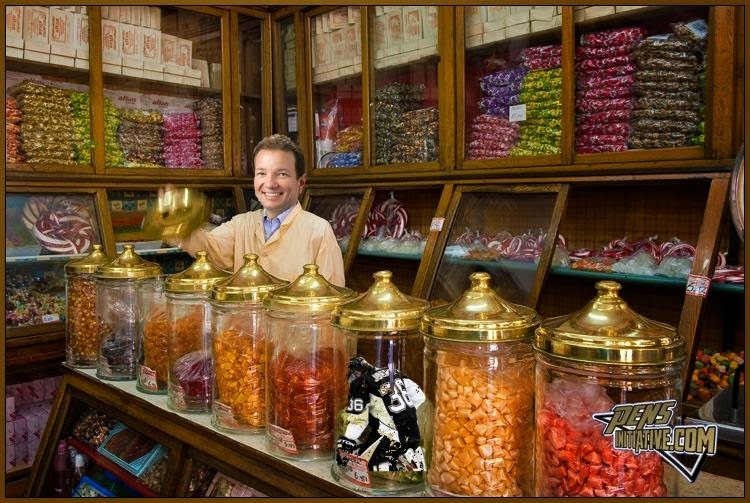 We did not, therefore, Jokinen was like a giant candy bar handed out to the Penguins on Halloween. Free Candy (Brooks Orpik’s favorite). At the time of the deal one of the main reasons he was brought in was to be a cheap insurance policy in case Evgeni Malkin went down last season. He was picked up three days after the Sidney Crosby surgery and with one superstar out, they could not risk the other. His versatility to play wing or center is one of the reasons Shero liked him so much. Jokinen is widely considered a face-off and shoot-out specialist and his numbers tell the tale. He is 25 for 46 in career shoot out attempts (for you math people that’s an amazing 54.3 percent success rate) and has 8 game winning shoot-out goals. Translation: That’s awesome. Excluding last year, Pittsburgh has ranked in the top 5 for most games gone to a shoot out since 2009. You can hate the shoot out all you want, but his skill set is an important part of the game. He also is strong in the face-off category. If he ends up on the Malkin-Neal line, this could play into it. Malkin has a story book of strengths, face-offs not being one of them and this gives Dan Bylsma other options for the second line. Jokinen’s biggest showing came Saturday evening during his game against the Columbus Blue Jackets. His natural hat trick took only 8:28 to come together in the second and he showed why he deserves a look to play with the second line. Bylsma summed it up best: "He's an extremely intelligent player. He knows how to play with, and read off of, good players. He showed that tonight." That is probably why Jokinen continues to get looks with the second line. I am not sure how I feel about Jokinen on the second line. I really like what Beau is capable of doing with them but I would not be upset if Jokinen saw time there too. I will say though, the Penguins are very lucky to have this issue and I am excited to see what the season holds for Jussi.